Several medical studies have shown possible links between cell phone use and health problems, including cancer. Although there are no definitive links, a number of medical professionals are now calling for people, especially children, to limit their use of these devices. In July 2008, Dr. Ronald Herberman, Center for Environmental Oncology, University of Pittsburgh Cancer Center, warned 3,000 staff and faculty about cell phone use. Dr. Herberman’s memo included a recommendation that children should use cell phones only in emergencies and adults should use the speakerphone feature or wireless headsets. There is not enough information available on the effect of electromagnetic radiation on developing brains to determine if there is a cause for concern; however, Dr. Herberman believes that there is no reason to wait for science to provide an answer. Instead, limiting use is a more proactive approach. Another study, which appeared in the February 2008 issue of the American Journal of Epidemiology, suggested a link between heavy cell phone use and salivary gland cancer. This study was the first study to examine long-term use of cell phones. According to the study, people who used a cell phone held up to their face for several hours per day were 50% more likely to develop a tumor in the salivary gland. In May 2008, a study completed by UCLA and Danish researchers released data linking behavioral problems in children to cell phone use by mothers while pregnant. According to the study, when a mother used a cell phone during pregnancy, children had a higher risk of being hyperactive, having conduct problems and difficulties with emotions and social relationships. If these children used cell phones before the age of seven, the risk became higher. The researchers, however, could not explain why such a connection may exist and accept the results may not reflect cell phone use but may be caused by other reasons, such as the mothers that spent a great deal of time on their cell phone were not paying attention to their children. Despite the studies that suggest health problems as a result of cell phone use, there has not been any study showing a definitive link between cell phone use and cancer, or any other health problems. A study published in the Journal of the National Cancer Institute in December 2006 indicated that there was no link between cell phone use and cancer. In addition, the Food and Drug Administration (FDA) reviewed the results of a long-term Swedish study that found a link between brain cancer and cell phone use and found the results to be inconsistent with earlier studies and difficult to interpret. 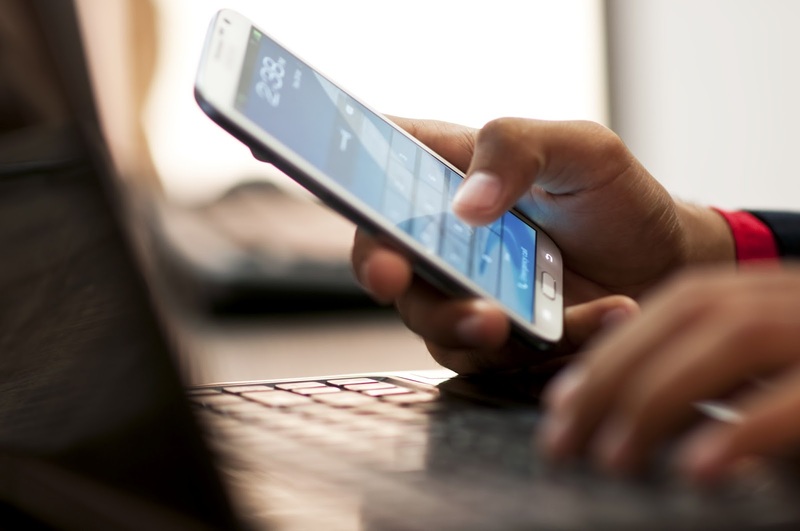 Researchers will continue to review the present information as well as conduct additional studies to determine if there is any link between cell phone use and health problems. However, for anyone concerned with the risks, using a wireless headset and keeping the phone away from your body (either by using a holster or keeping it in a purse or briefcase) can help eliminate risks. Diagnosing sleep apnea starts with an appointment with your family doctor. A history of possible sleep apnea symptoms is recorded. As sleep apnea symptoms are often seen alongside depression, GERD (gastroesophageal reflux disease), asthma, obesity, and impotence, the doctor may ask questions that, on the surface, seem to have little to do with sleeping habits. During the appointment the doctor also performs a physical exam, looking for evidence of physical sleep apnea causes. He or she will check the mouth, nose, and throat for possible obstructions. As bed partners often that notice sleep apnea symptoms first, their input and observations can be very helpful when diagnosing sleep apnea. If bed partners can attend the doctor's appointment they can provide valuable information that aids in making a diagnosis. If the doctor suspects sleep apnea, the patient is usually referred to a sleep apnea clinic or sleep center for further tests. There the patient will meet with a sleep apnea doctor, who will ask further questions about the patient's symptoms. If the sleep apnea doctor believes testing is required, the patient will return to the sleep center for a sleep apnea test. A polysomnogram, or sleep recording, uses electrodes and other measuring devices to record the patient's sleep pattern. A polysomnogram is a painless procedure: sleep center staff fit the patient with the measuring equipment in the evening and the patient then sleeps in one of the sleep clinic's rooms under the watchful eye of the staff. Rapid eye movement while dreaming. In cases where patients cannot visit a sleep apnea clinic it is possible to take a sleep apnea test at home. 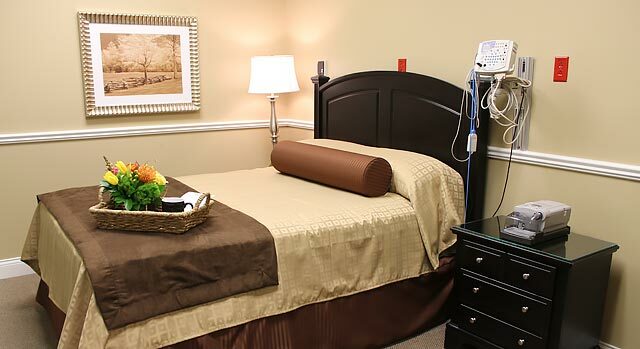 This is not the usual procedure: sleep apnea tests are best performed at a sleep center. If circumstances require a home test, however, a sleep center can send a staff member to the house in the evening. The staff member will set up a portable version of the polysomnogram test, which records the sleeper's activity. In the morning, the machine is picked up and returned to the sleep center. After the sleep apnea test results have been analyzed, the patient has another appointment with the sleep apnea doctor to discuss his or her condition. At this time the sleep specialist will explain the causes of sleep apnea and discuss sleep apnea treatment options with the patient. Disclaimer: The information contained within this article is for informational purposes only, and is not intended to be a substitute in any way for care and treatment by a qualified health professional. Noses present with all kinds of bumps and humps that can cause emotional distress and anxiety. Rhinoplasty is the name given to the procedure to remodel a nose. A closed rhinoplasty is done through incisions inside the nose. This method is suitable for adjusting or reducing the nose’s size and shape. In an open rhinoplasty, an incision is made across the strip of skin between the nostrils. This allows easier access for more extensive work. Rhinoplasty is suitable for adults whose noses are fully grown and developed. It may also be performed on children who have sustained damage through an accident or who were born with a nasal defect. 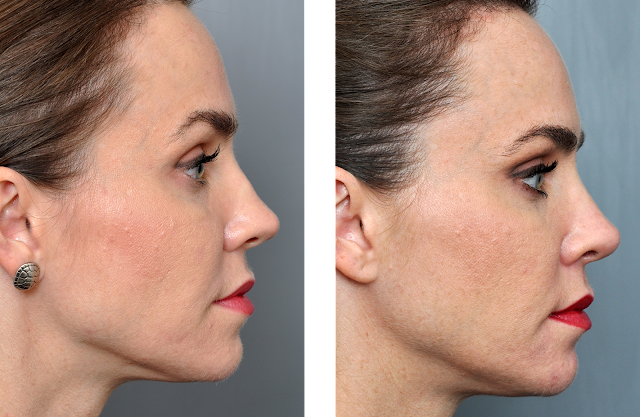 A successful rhinoplasty can change a person’s appearance, profile and mindset. Even a minor physical adjustment can have a major psychological effect. Plastic surgeons have to work with the original nose and there are limits to what they can do. It is important to trust the surgeon who sees the whole picture of how the remodelled nose will fit into the face. Have realistic expectations and work with the experts. Most rhinoplastys are done under general anesthetic but minor remodelling can be done under local anesthesia. This is normally accompanied by sedation so the patient doesn’t remember much of the procedure. It is important to rest after rhinoplasty. Avoid talking too much and lie still and relax. Don’t try and blow the nose and avoid bending and lifting. The most common effect is severe bruising and swelling around the eyes. This is more evident when the nasal bones have been broken. The nose will be swollen for about six weeks and it often takes a year for the final result to be seen. Areas of numbness are common as is a sensation of pins and needles. The bruising and discoloration take two to three weeks to subside and can be hidden to a certain extent with makeup. A rhinoplasty can greatly improve the appearance of a nose and so give confidence to a person. It is essential that this type of surgery is fully understood and the limitations accepted before going ahead with it. With time and a positive outlook, rhinoplasty can transform a person’s life. Most people living in northern climates have heard about frostbite. Exposing the skin and underlying tissues, especially of the extremities including the hands and feet, to extremely cold temperatures can lead to the development of frostbite. If cold exposure is severe enough, tissues can actually die. The body works hard to maintain the temperature of all of its tissues, both at the core of the body and at the periphery. Peripheral tissues such as the fingers, the toes, the ears, the nose and the lips are, however, at highest risk for damage as a result of exposures to extremely cold temperatures. When conditions are most dangerous, this extreme exposure can lead to the actual formation of ice crystals inside the tissues, first occurring near to the surface tissues just below the external skin, and then progressing to deeper tissue structures. When this happens, frostbite develops. When ice crystals start to form in tissues, the cells that make up the tissues are not equipped to deal with its effects. Cells start to get injured because of disruption of cell membranes and the loss of cellular integrity. If the exposure continues, the body tries to deal with the exposure to the cold by regulating the performance of the circulatory system. Unfortunately, this typically means that the first response is to shunt more of the blood to the vital organs at the core of the body, worsening the cooling of the extremities. Soon afterwards, the blood vessels in the extremities try to overreact and start dilating and then constricting before the body recognizes that it needs to stop supplying blood to the extremities altogether to preserve as much heat in the core as possible. As the freezing progresses, a reduction in blood flow and the damage sustained by the blood vessels themselves can lead to loss of oxygenation of the tissue, what is known as necrosis. When tissues stop getting the oxygen that they need, the tissue begins to die. After a frostbite injury it is not uncommon for surgeons to have to wait for several days before they can determine how much of the tissue has actually died. Injuries to tissues can be severe enough to warrant amputation, and rewarming of the tissues must be done carefully in order to minimize further injury. When it comes to frostbite, prevention is absolutely the best approach. It is not simply enough to dress more warmly as the temperature drops. Awareness of overall conditions can be very important. For those into mountaineering, exposure to a low temperature at higher altitudes can be more rapidly destructive. Combining low temperature with exposure to water can also be extremely problematic. And frostbite is not only a province of winter extremes, it can occur in those people who work with dry ice or with liquefied gases such as liquid nitrogen and liquid oxygen.